Joining Alison Brie, Sydelle Noel was also on hand for the #NetflixFYSee For Your Consideration event at Raleigh Studios Hollywood yesterday(May 30th) in LA. 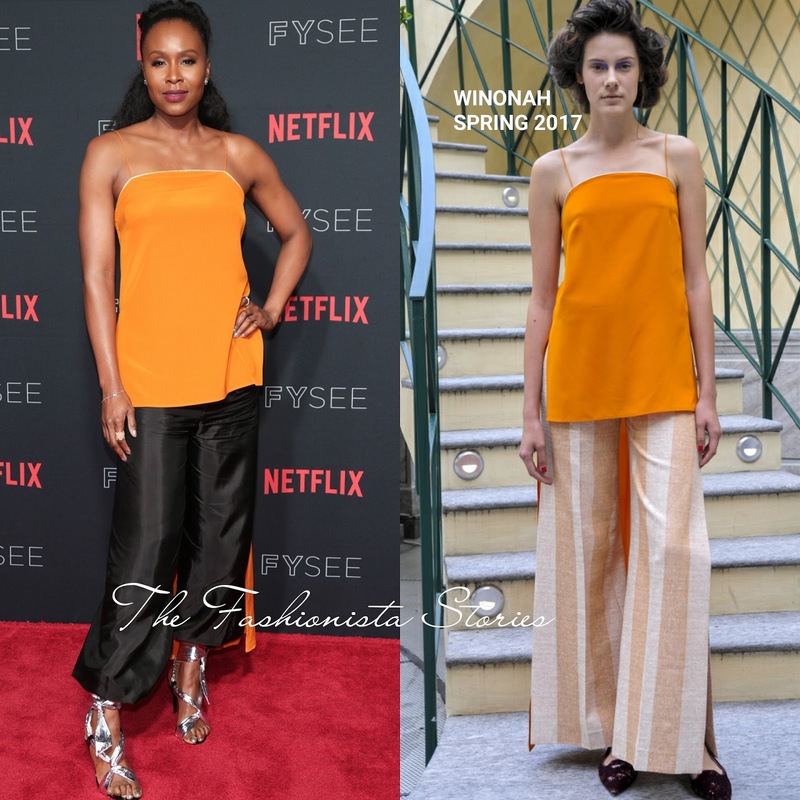 She hit the red carpet wearing a WINONAH SPRING 2017 tangerine high-low hem tank top and RACHAEL CASSAR black harem like pants. While I like the direction of her look, the pants and the IRO PARIS tie-around sandals doesn't coordinate together for me. I think she should have gone with pumps. What do you think of Sydelle's look? She finished up with a COOMI earrings, a TACORI bracelet & ring and complimentary beauty look.